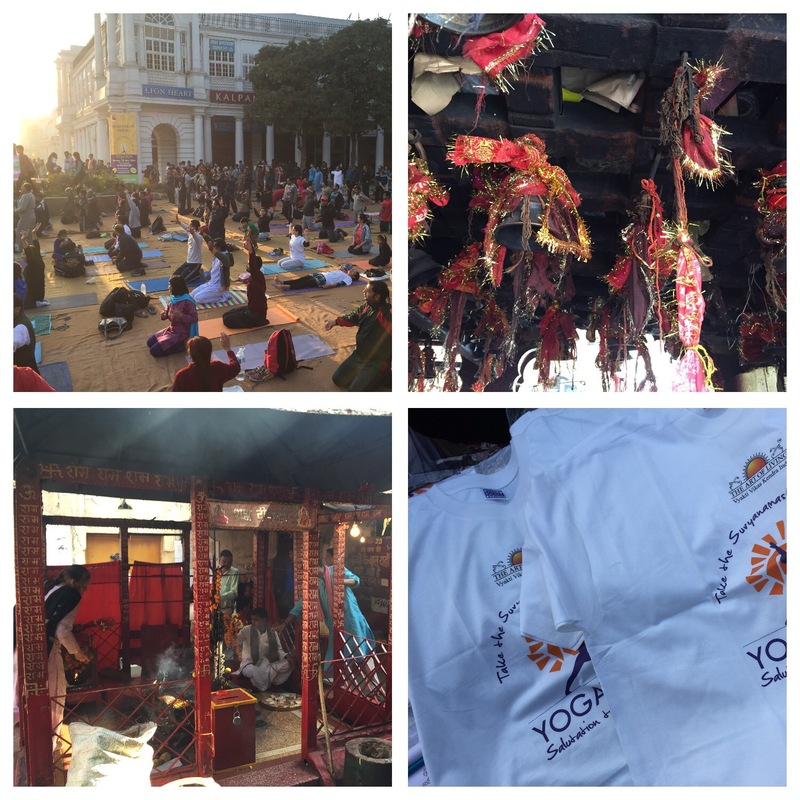 7weeks in India – a guide, a priest, a function and Yogathon – Go India, go future! It is Saturday. I have travelled to Delhi. As most of the visitors in the Indian capital I have booked a guide to see some of the most important monuments and places. I will stay here just one, two days … Like mostly in India, booking a tour means getting a guide, a driver and a car. Well equipped. We start early in the morning. 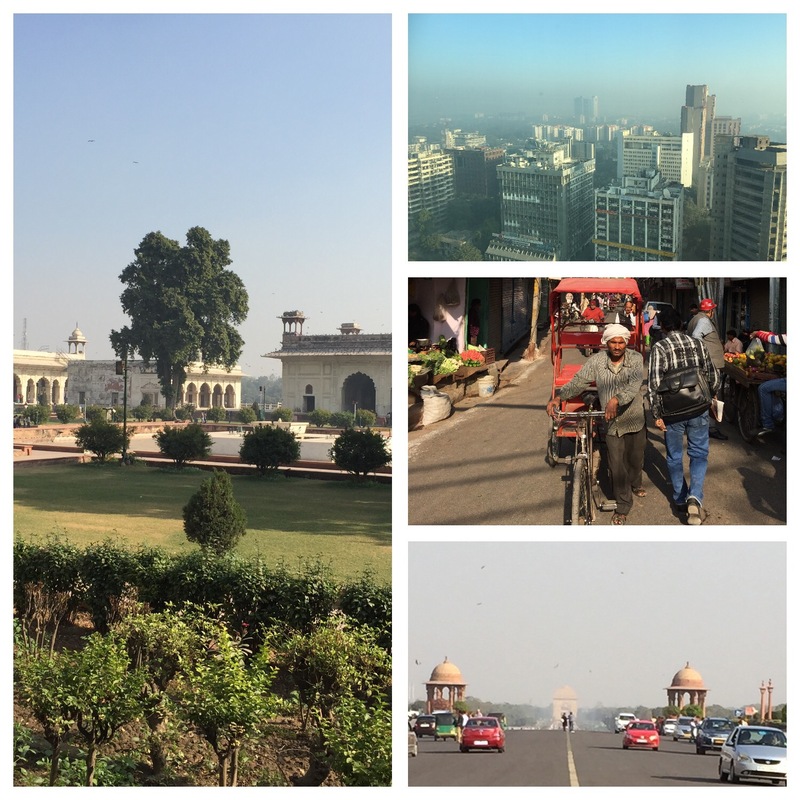 The huge mosque, the Red Fort and Rajghat, the governmental institutions, Modi’s residence … So far, all ‘as usual’. But interesting – no doubt. Definetly places to be visited. “Are you interested to see one of the oldest temples here in the city, Kalkaji Mandir?”, my guide asks me in the early noon. “And”, he continues, “would you be interested to know my family? Today, we have a function, a family celebration in a part of the temple. The father of my sister in law died in an accident eleven months ago …” I agree. Why not doing something different? Kalkaji Mandir is amongst the oldest and the most reverend ancient temples of India. It is also called ‘Jayanti Peetha’ or ‘Manokamna Siddha Peetha’. Manokamna literally means desire, siddha means fulfillment, Peetha means shrine. So, it is the holy shrine where one gets the blessings of Maan Kalika Devi (Goddess Shri Kalika Devi) for the fulfillment of one’s desires. Thousands of devotees come here everyday from from far and wide to get the blessings of Goddess Maan Kalika Devi. I have seen many temples, but it seems that this is worth to go, too. And a family function at the temple? There will be also a personal interest by my guide to go there, but there is nothing wrong with it, isn’t it? “Yes”, my guide confirms when I ask him. “I am a priest, a Brahman at this temple. We do our functions here.” When we enter – a rather small entrance where just passing by I never had thought to find such a huge place inside – some women practice a ritual and go closer to the temple by laying down, moving on the ground and standing up again, meter by meter. It reminds me of the Christian pilgrims in places such as Fatima in Portugal … The entrance corridor is long. On both sites there are very poor women sitting, they live here, with less than nothing, some food, some flowers are sold to the visitors, all Hindu people who want to give a donor to the temple. I can’t see any tourist here. In a secondary place a door leads to a small place. My guide’s family. On the left there are the men sitting and eating. The women on the right preparing food and chatting. They are very friendly. In front on a small table there are four big photos showing a man, probably from the 1930,40th and his three sons, all died. The one that died a year ago has some flowers more in front. His widow joins me, gives me a hug. She says she is very happy that I am here. Her sons make me sit on the ground in front of the photos and bring food. Both have academic degrees, one of them works in an international company in Dubai, the other is engineer in Delhi. Very nice people, also their behavior and style of doing is modern – in unusual surroundings: modern men in a ancient world. It feels like a several hundreds year ago. This place is fascinating. Seeing the family members, people that come, sit, eat and go, rituals on how they greet each other and behave …. My guide asks me to come with him. He wants me to bring within the temple. There might be hundred people in the file. It is really crowdy. But we take a secondary way, he knocks at a door and when it opens I am in the back of the temple. In front of me there are enthusiastic people, shouting, crying, pushing, praying, singing while the pass at the main, the holy point and bring their gifts o give some money. In compensation they are blessed. Some of them get a coconut, some flowers, some food back. From the entering point to the temple’s heart and the other side, the temple’s exit, it might take them a five minutes maximum. There are too many people who want to enter this small holy room. I understand that standing here in the other half of the room is a privilege. My guide shows and explains me a lot of details. I can take photos – without any pushing by mass of people or time pressure. Often we Europeans are even not allowed to go inside, and if so photos inside the temple often are forbidden. My priest guide is a respected person here. He offers me an orange, glittering scarf – one of the rare gifts only a few pilgrims get…. He started to learn German in Delhi. In the 70ies he came for the first time to Germany. “I like it very much. Berlin, Hamburg, Frankfurt.” He knows even our smaller cities and places. “But with the EUR things have changed. It has become much more expensive nowadays,” he explains, “traveling to Europe is not affordable for the most of us. I have a lot of German friends there, that is what makes it possible to me. Otherwise if I even had to pay for everything there I couldn’t revisit your country. ” He might be 60, 65 years old. His biggest wish is to come to Germany again next year for a visit. Berlin…”. In the evening I have dinner with a friend. New Delhi. The modern India. European like. Sunday morning. 7 o’clock am. Before leaving Delhi I have a short walk. To the Conaught Place. Every Sunday huge sports events take place here. Thousands and thousands of young people are already here. Music everywhere. Some dance, some people rent bicycles for free. Huge promotion activities run by newspapers and known companies. The media people are around. Balloons in the air. Namaste to India: in front of me a huge group of people is doing Yoga. Today Delhi’s Yogathon takes place. Like the marathon in Berlin. A similar atmosphere. With much more people. The young generations … With a lot of hopes and dreams. Western stylish. Fast food chains, modern smartphones. This is India. The world with its billion of people and its hundred thousands of different lives. In 2050, India will have the biggest population all over the world. Things will change and it already feels modern. In some parts. Will poverty become less? Will the development lead to more happiness? Even to a better life? I am not sure. We will see.